Like a lot of people, I put myself through the torture of painfully watching tonight’s episode of American Idol. 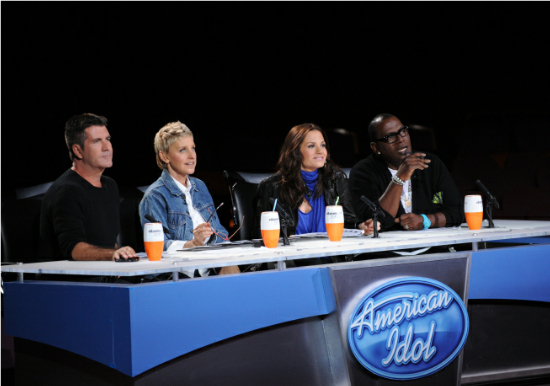 The competition was apparently very serious as the twelve contestants were vying for a spot on the Idol tour. How the producers possibly believe that they could even sell one ticket on a tour is beyond me! Ryan Seacrest called The Rolling Stones the “most iconic band on the planet” and the “greatest rock and roll band in the world” and then the contestants go ahead and murder all their classic hits, no respect whatsoever. When Aaron began to sing Angie, I turned off the tv, I just couldn’t take it anymore. I honestly think a root canal would have been less painfull this evening. The night was full of mediocrity and just plain awfulness. This really is a terrible group overall and the judges are nothing to write home about either. Blah. Would Sanjaya Look Good Bald? And The American Idol Finalists Are! Tonight Battle Of The Two Davids! Who Is Your Choice?